With stylish curves and a flattering design, our equestrian endurance helmet visor not only provides fantastic sun protection but is also a fashion statement. This helmet visor provides broad sun protection and is perfect for a long trail ride or practicing in an outdoor ring. Works with virtually any equestrian helmet and includes a pocketed area for accommodation of equestrian helmets with non-removable visors. See videos under the Install tab for a demonstration. Uses: Outdoor riding, Trail riding, Endurance riding, everyday exercising, Hunter/Jumper, Dressage, ideal for areas with intense sun. 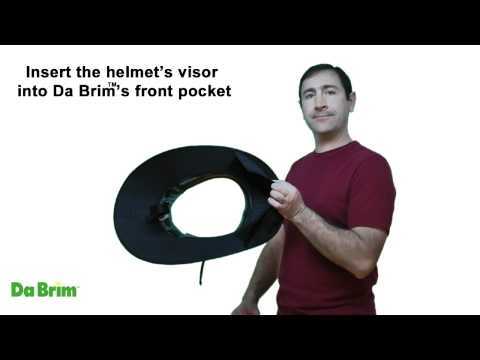 Instructional video showing how to install the Da Brim Pocketed model on a helmet with a non-removable visor. 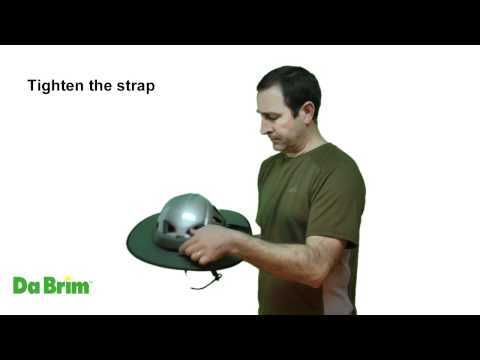 Instructional video showing how to install Da Brim Multisport on a helmet.